Lip-syncing, dance routines and other talents will be showcased Thursday at the Rat. UPride will host its second annual “DragOut,” a drag show that aims to raise awareness about the LGBT community on campus. All proceeds from the show will be donated to the Yes Institute, an organization that strives to prevent suicide and ensure health and safety for youth through communication as well as gender and orientation education. UPride President Jacob Rudolph may be performing along with ten other students. Alongside them, Tiffany Fantasia, a well-known drag queen, will emcee the show. Fantasia regularly performs at the Palace nightclub in South Beach. Rudolph, who also performed last year, enjoys seeing people’s reactions. “My favorite part in preparaing for DragOut is that I get to let the anticipation build up for the looks on people’s faces when they see me in a dress looking hashtag flawless,” he said. Sophomore Jessica Smart attended last year’s show. 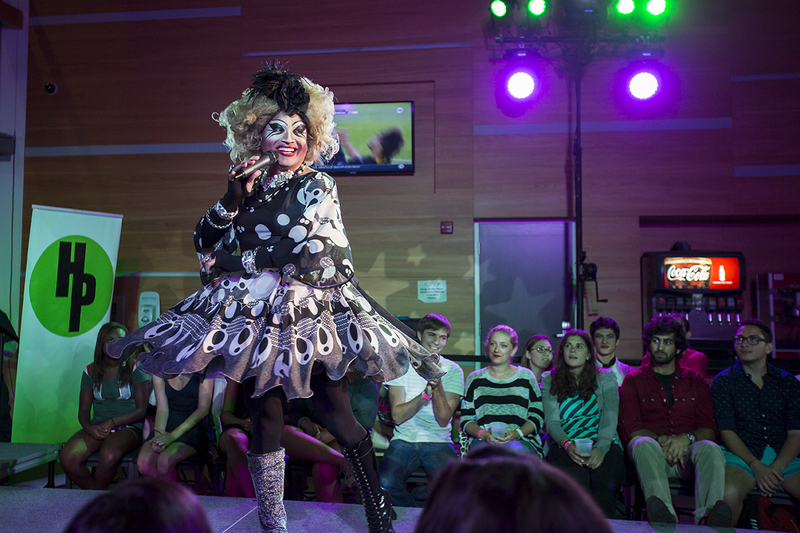 “I think the drag show is a good way to raise awareness and acceptance for the LGBT community at UM in a manner that anyone can enjoy,” she said. Tickets will be on sale Feb. 17 at the Butler Center in the Student Activities Center. Students have free admission, and all other guests are asked to donate $20 toward UPride. This year, VIP tickets will also be available for $10, where buyers are offered special seating and a wait staff to serve them drinks.